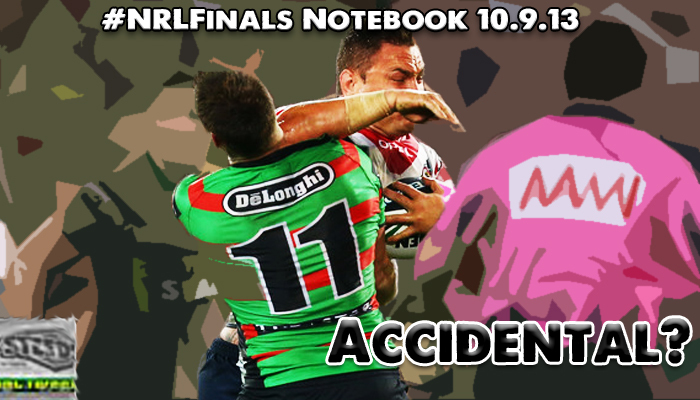 #NRLFinals Notes 10/9: JWH 'defence', Thurston reigns, Crocker over-exposure, Key injury news, McIntyre OUT and Finals YouTube. [Q] DAILY QUESTION: Which NRL player currently has the longest consecutive Finals games streak? That is chronological year to year qualification and playing in all his team's semi finals, not simply playing every game each year his team has been in the Finals. So you can rule out Melbourne players... due to the 2010 salary cap fiasco. How exactly was Jared Waerea-Hargreaves' elbow to the throat of Chris McQueen an 'accident'? Evidently the Roosters will explain this in detail at the Judiciary Tuesday night as they attempt to get him off the charge that will see him miss Sydney's clash with Manly... now if he gets off then you have to wonder how he got 5 weeks for a bad high tackle earlier in the season - given intent wise there doesn't appear to be an awful lot of difference between the two incidents. JUDICIARY FINDS HIM GUILTY - but really quite luckily, misses just one game. Poor Michael Crocker... he's being asked left right and centre about the South Sydney state of mind in recent weeks... but the poor bloke isn't playing. Crocker's knee has long been a problem for him but this season it finally stopped him from playing after Round 3 (he did return for a NSW Cup game recently) and he hasn't been seen in the NRL since. Hopefully he can return sometime in September but I feel for the bloke - watching on and being asked again and again how his team is travelling when he can't play must be taking a mental toll. 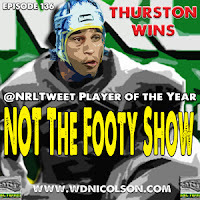 All the Finals Week 1 Teams with Injury and Selection Analysis on www.wdnicolson.com is now available here. And there's an injury to one key player who his team can't win the comp without... and we hear it is so bad - he may not even be fit if his team reaches the Preliminary Final. Waerea-Hargreaves is the only player in the Finals challenging a ban - he'll spend a week out. The build-up to the Finals Series seems a little muted sadly... whether it is the by-product of another awfully long regular season that only seemed to get 're-interesting' at about Round 22 (the Origin hangover is incredibly real people) - but I think it is because we now have two cracking games and two quite 'meh' games in Week 1. But the reason we aren't feeling giddy about this year's setup is last year's was taaaasty in Week 1 - as every game had a team in form playing. The truth of the matter is the Top 4 is GREAT this year and the next 4 are dead set average bar maybe Cronulla if their attack clicks in the next week or two... but the flip side is there is no team that didn't make the Top 8 that would've made any more impact had they made the Finals. It's just the good and... well the rest are very ugly right now. Newcastle v Canterbury... 1998 Finals Week 3. Newcastle were heavily favoured along with Brisbane to take the title in 1998 after the Super League split of 1997 had seen the Broncos and Knights win the respective comps and then finish 1st and 2nd after the 1998 regular season. But Canterbury... well they had other ideas as far as the team Brisbane would eventually play in the Grand Final was concerned. Well we don't know for sure - we hoped you'd be able to figure it out! Our best guess is Anthony Watmough ahead of Brent Kite. 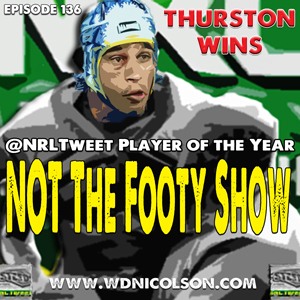 Given Melbourne didn't take part in the Finals in 2010, and those two warriors have been part of the Manly furniture since they made their return to the Finals way back in 2005. Hopefully a stat junkie can let us know for sure... but Brett Stewart, Jason King and Steve Matai are the only other Sea Eagles to play in that 2005 Semi and they have all missed a playoff game since 2005.